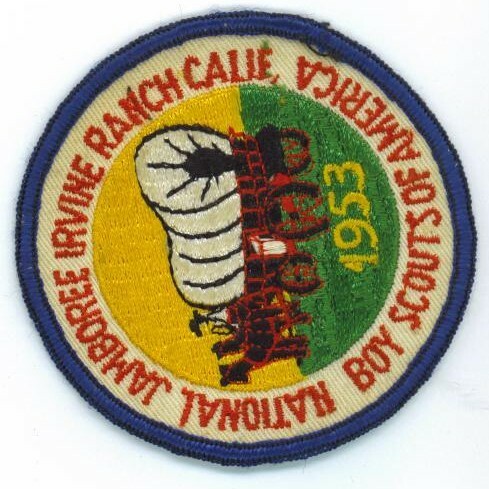 Troop Ole 97 was formed in 1937 by the efforts Reverend R.G. Lee of Bellevue Baptist Church. By 1938, Ole 97 was already a permanent fixture of Galilee Baptist in 1938. Several years later Galilee Church moved and became Broadway Baptist. Ole 97 went along for the ride. The troop was led from the beginning by Buddy Irwin, an Eagle Scout himself, whose mission it was to pay forward the debt he owed to scouting. In the early days, the competing programs of the church pulled attendance away from 97. Reverend Lee suggested the troop recruit boys directly from the neighborhoods which is exactly what Buddy did. He visited all of the surrounding neighborhoods inviting all boys to become scouts. Buddy realized that the troop was an outreach ministry of the church. He concluded that many of the boys had never been inside a church. To that end, God was placed in the center of all troop activities from Day 1. Every meeting began and ended with prayer and the troop chaplain was required to read a passage of scripture during the meeting. On camping trips, Buddy would pull the bus over to the side of the road on Sunday morning where the troop would then erect a wooden cross. The boys would listen while Buddy would read for God's Holy Word. The troops' reputation grew fast. Within 10 years, there were over 200 boys registered in membership. Buddy was forced to split the troop into two virtual troops each with it's own scoutmaster, adult staff and youth staff. Buddy couldn't bring himself to tell any boy he couldn't join the troop. However, other leaders prevailed upon him to put a cap on the membership. 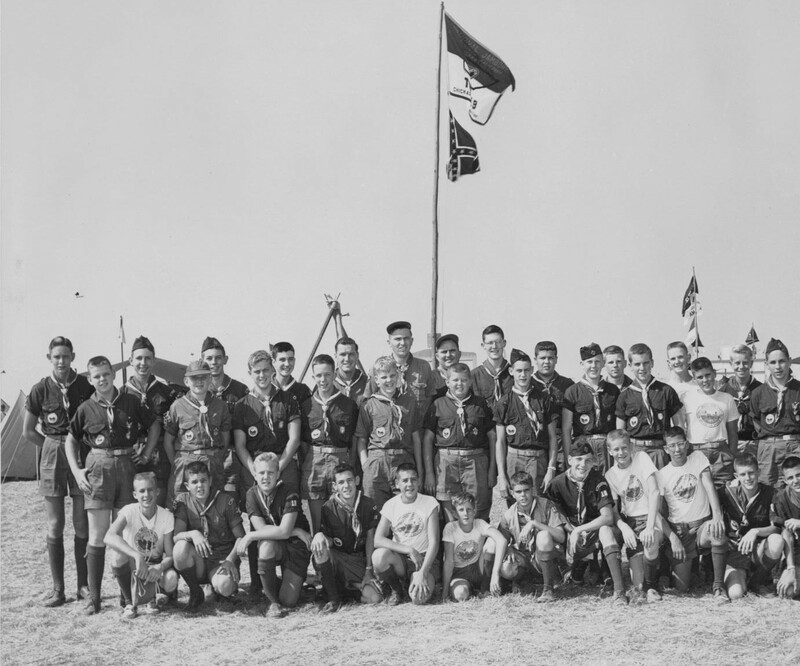 By 1967 the number of boys in the troop hovered around 125, with a waiting list to join. This number is exactly the capacity for two bus loads of boys! Today, the troop serves a 25 to 35 young men yearly - a size considered to be very healthy in scouting 2010 standards. Many times Buddy's talents at fund-raising and recruitment helped move the troop past serious roadblocks. 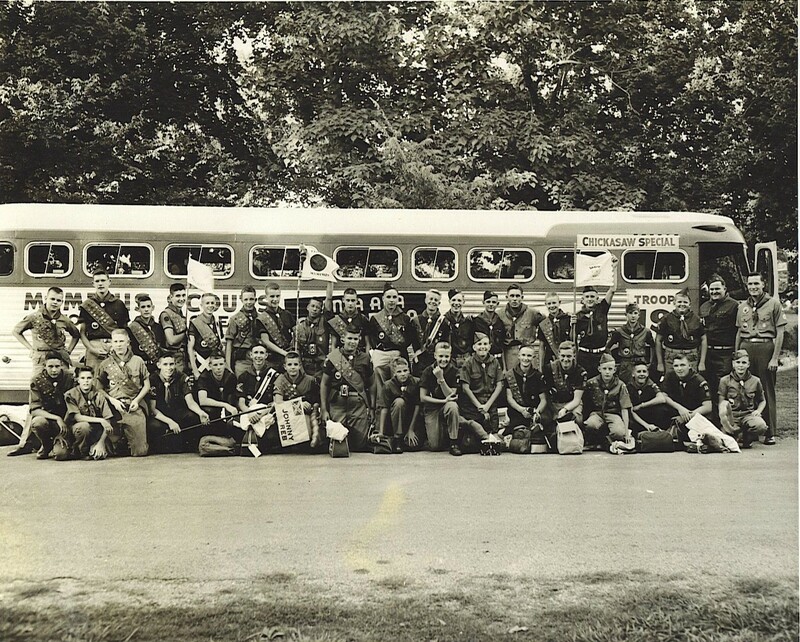 Using local donations and newspaper sales by the boys, the troop was able to acquire the troop bus, the 'Swamp Fox', which transported the large troop to camps, etc. On one occasion, Buddy responded to a want add with the opportunity to deliver phone books to an entire town in Arkansas. The troop delivered over 10,000 phone books on weekends over one summer. The proceeds were used to acquire 12 Grumman canoes and their transport trailers. Those canoes are used to this day. With over 200 boys that have reached the rank of Eagle Scout, Ole 97 has produced more Eagle Scouts that 99% of the troops in the United States. Being a boy scout isn't limited to the physically perfect. Some of young men that have earned Eagle Scout have included the physically challenged including the blind and neuromuscular abnormalities. Given the 70+ year history. 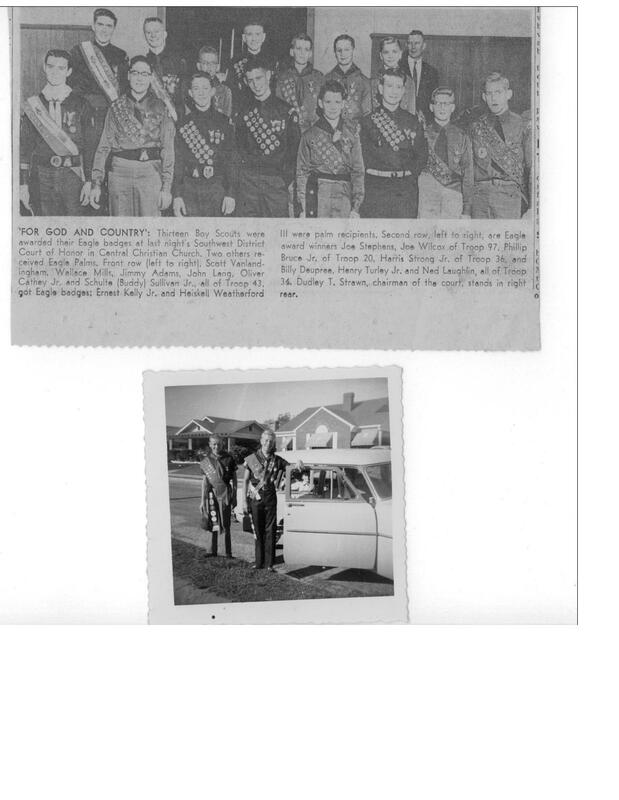 Ole 97 can boast several second and third generation Troop 97 Eagle Scouts in the same family. The young man who accomplishes the goal of Eagle Scout will carry that mark of achievement and honor with him for the rest of his life. In the past years, two of our scouts have received the Medal of Merit for saving the life of a relative. See their stories here and here. 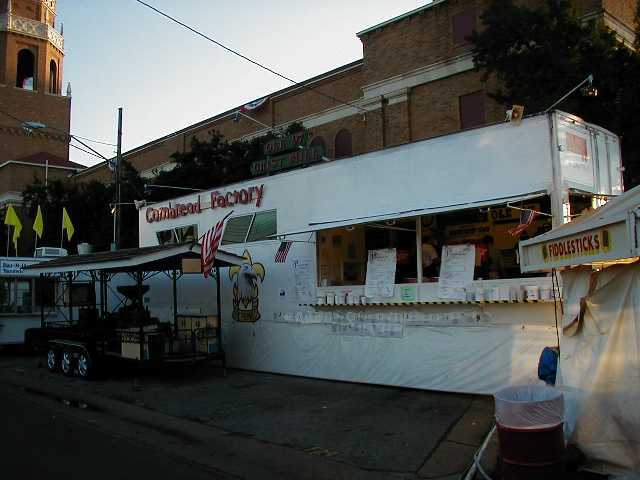 For 30 years from 1976 through 2006, Ole 97 sold southern-cooked food: cornbread, red beans and rice, and white bean soup at the annual Mid South fair. The 10 days of selling was hard work, but the reward was one single, powerful fundraiser for the entire year. In the beginning, Buddy Irwin acquired a small trailer with a kitchen and counter and set up at the Mid South fair with a booth. The original booth was built of 4-foot sections which were bolted together to form a 16-foot temporary building. Later, a large custom built trailer with a full kitchen was acquired and deployed every year. Many items were acquired through donation including the Sweet Potato Pies and most all dishes were handmade from scratch. To add to the booth's character, Buddy took a 55-gallon drum, water pump, and two millstones, to make a water-driven grist mill for demonstrations. The water-driven mill had the side effect of spraying water on customers, so later Buddy went to a gas powered model. On occasion, a person's life is fulfilled in grand ways as given by God's providence. 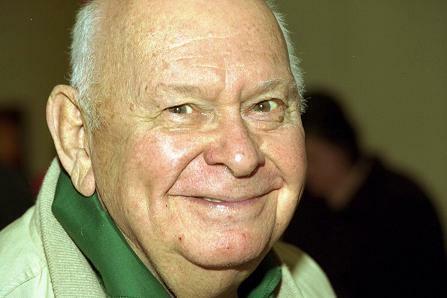 Buddy Irwin was such a person. From 1937 until his death in 1989, Buddy exhibited the best in service and leadership. His character has been passed on to literally hundreds of young men, their families, and their family's families. Fittingly, Buddy's funeral was preached by John Webb, a scout in the troop who surrendered to the ministry while on one of the camping trips. Buddy left big shoes to fill. 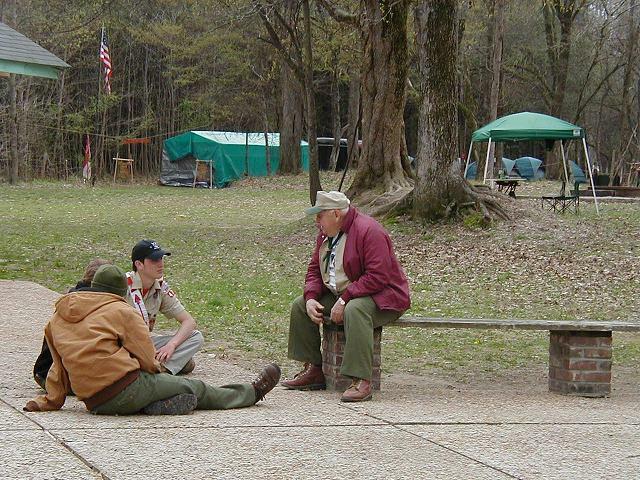 Bill Dixon, Buddy's close friend and lifelong scouter himself, served as the next troop scoutmaster. At the time, Bill was Advancement Chairman for the troop. He had previously been Scoutmaster of Troop 3, which was established around the same time as Troop 97. Bill's sons, Doug and Mike, made Eagle in Ole 97 in 1973 and 1975, respectively. Bill is an incredible naturalist, and can tell more than a hundred species of trees and plants during the winter when there aren't any leaves, simply by the way the limbs grow and the looks of the bark. 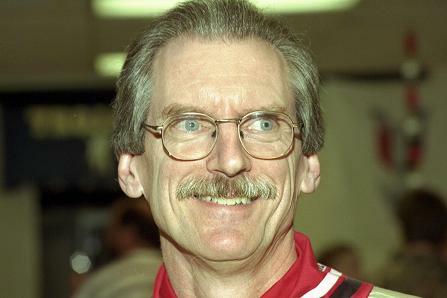 Bill retired in 1998 but stayed active in scouting thereafter. The troop was then commanded by Redigo Phillips, an Eagle Scout himself with a son heading into the troop. Redigo is an auditor for the IRS, and an accomplished photographer. Redigo led the troop for 5 years until demands at work curtailed his ability to lead the troop. 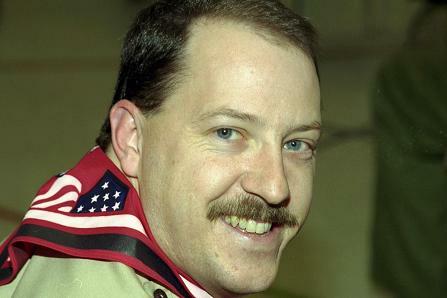 The troop is currently led by Mark Stroud, who works in quality control at a local printing company. Mark has been at the troop helm since 2003.